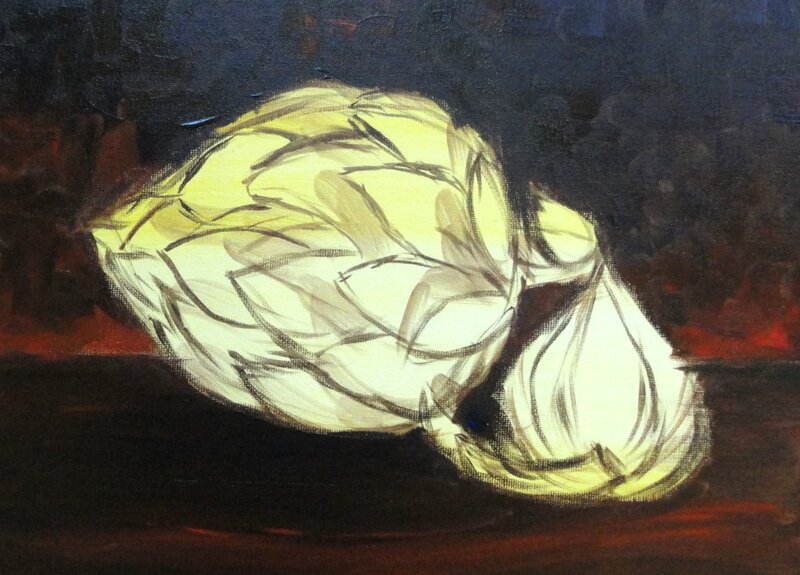 Artichoke and Garlic Painting, Instructions and Supply. 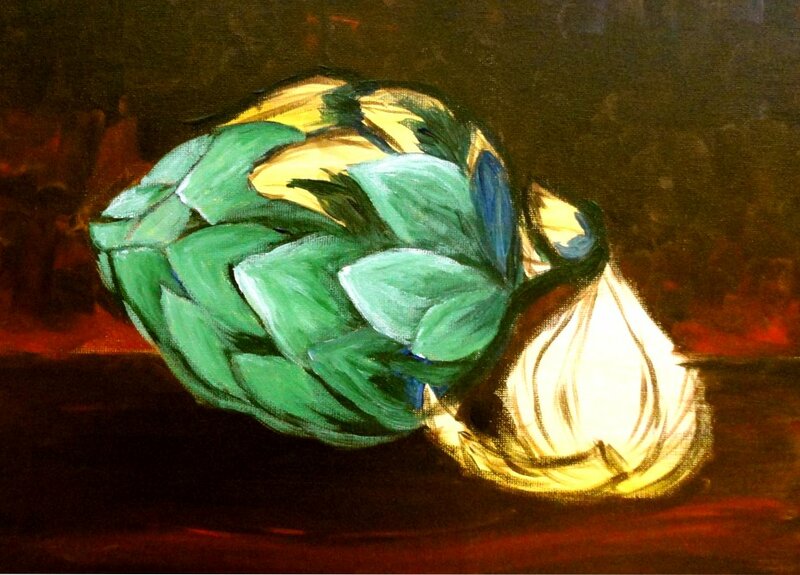 ≈ Comments Off on Artichoke and Garlic Painting, Instructions and Supply. 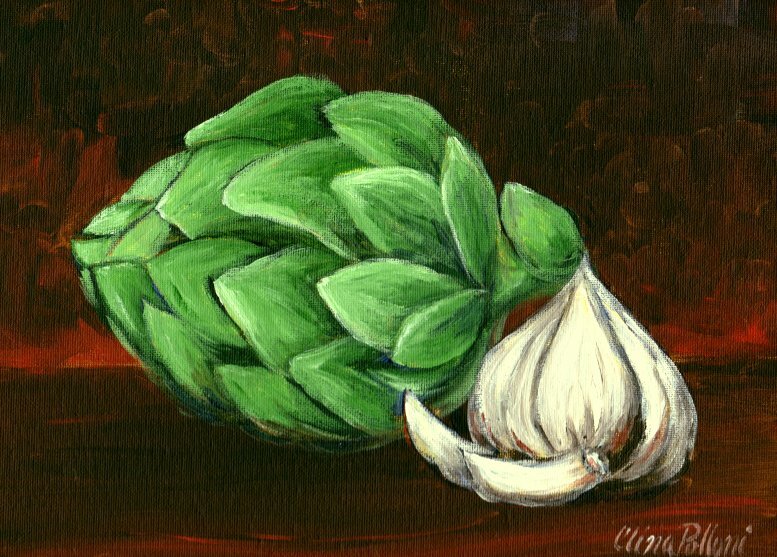 This is a vegetable painting that will decorate your kitchen. This painting was created for the painting classes, is a simple and charming painting for a person that is starting to paint and wants to learn vegetables colors and techniques. 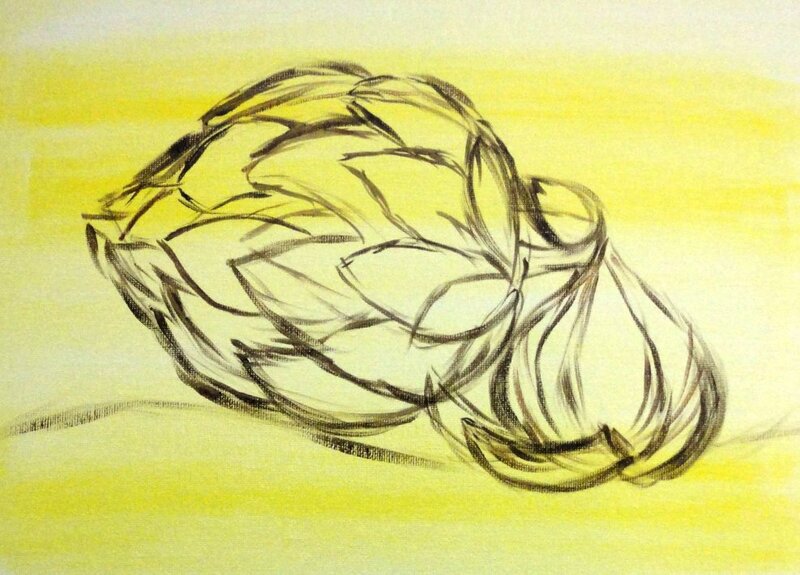 Start by drawing the artichoke and garlic, without details. Just position each element in the canvas. Once you are happy with each element composition, start drawing the details, artichoke pedals and garlic cloves, thinking about light and shade. The best media to do your under-paint is acrylics because they dry faster. The under paint is very important because you are continuing to draw with colors and defining light and shade in your final painting.